Young Council staffer Darrell Clarke once stumbled upon a tryst on the path, known for prostitution and drug camps before its headline-grabbing turnaround. Mar. 21, 2016, 10:00 a.m.
Before the Schuylkill Banks trail, Center City had wilderness. The path now traversed daily by thousands of runners, walkers and cyclists was an urban Sherwood Forest through the 1990s. Sometimes when a perp took off running toward the area even police wouldn’t bother to give chase. Clark Stuart ventured into the muck to take her dog for walks but would always stay close enough to the train tracks so she could be seen. People who journeyed a bit deeper never knew what — or who — they were going to find, though drug use and prostitution were usually pretty safe guesses. The crime-ridden, wooded area next to the Schuylkill before the trail was extended into Center City. That was just another day on Philly’s waterfront before the Schuylkill Banks, the portion of the Schuylkill River Trail that hugs the river near Center City between the Art Museum and Grays Ferry. Sometime in the next couple of weeks, officials will break ground on the latest, landmark extension of the path. For the first time, Schuylkill Banks will begin a trajectory to the other side of the river, to Bartram’s Garden. It is the next phase in a goal of taking Philly’s prominent exercise trail from Center City all the way down to the Delaware River. And it is another sign of how far Philadelphia has come from its declining days, not all that long ago. Last year, The New York Times mentioned the Schuylkill Banks Boardwalk as a reason the city ranked No. 3 in the world on places to visit. Just before the pope arrived, a picture of the Philly skyline went viral with the Schuylkill Banks front-and-center. For people under age 40 or so and newcomers to the city, this path where as many as 50,000 Philadelphians walk, run, bike and skate on a given day feels as lasting and permanent as the Billy Penn statue. But before the Schuylkill Banks became a sign of “new urbanism,” it was another Philadelphia pipe dream, a much-discussed idea delayed by bureaucracy and insufficient funding. How delayed? Try as far back as 1924. That’s when John Frederick Lewis, a member of the City Parks Association, brought up the need to tidy up the part of the Schuylkill River near downtown Philadelphia in a book called the Redemption of the Lower Schuylkill. About 30 years later, so the legend goes, a path was first proposed. 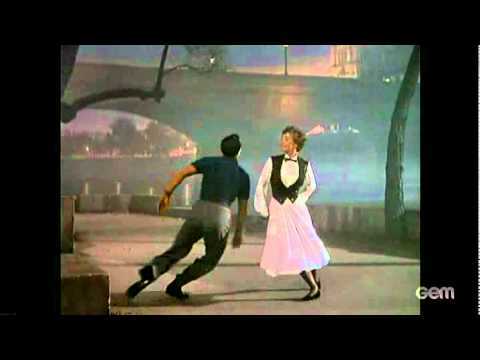 A Fairmount Park Commissioner had seen the movie “An American In Paris” and loved the scene where Gene Kelly and Leslie Caron dance along a wide walking path by the Seine. He called city officials, telling them the Schuylkill could be Philly’s Seine if they added a path. By the ’60s, Edmund Bacon, the famous planner and father of actor Kevin Bacon, had added a Schuylkill Center City trail to the city’s master plan. And yet a trail connecting Center City toward the Art Museum and the rest of the trail remained an impossibility. If Center City residents wanted to bike or run they had to do it on city streets and sidewalks. If Northwest Philly residents wanted to commute via bike, they’d have to get off the trail and deal with the Benjamin Franklin Parkway in all its rush-hour glory. Things started changing in 1992. Randolph formed the Schuylkill River Development Council (now known as the Schuylkill River Development Corporation) with a few friends and convinced an Inquirer reporter to write about their goal of transforming the riverfront. It appeared on a Sunday in late January on the front page of the Metro section. The next morning, Randolph received a call from Pew Charitable Trusts’ president, Rebecca Rimel. Pew offered $50,000 so they could write a grant proposal. At the same time, thanks to legislation passed in 1991, trails could now be paid for with federal transportation funding. By the end of 1993, $14 million had been secured and was considered enough to complete most of the project. But as the ‘90s turned into the aughts, Center City still had no trail. Philly being Philly, a laundry list of problems kept delaying construction: a fight over property with the freight train company CSX, city leaders’ inability to hire a contractor for years and the difficulty of convincing the general population of the project’s merits. “People couldn’t imagine having fun on the water,” Randolph said. Construction finally started in 2002, and the Schuylkill Banks opened in 2004. Thousands of people immediately used it even though no landscaping had been done. They were surrounded by dirt and dust. In 2003, during the middle of construction, runners were already trying to sneak on the trail. The pre-landscaping early days of the Schuylkill Banks. The landscaping was completed within a couple years. More importantly, Clark Stuart, her husband and a group of others successfully lobbied CSX to keep street-level entrances to the trail at Race and Locust streets. The city and the SRDC have worked in tandem to complete several goals set in 2004, including extensions of the path at the Grays Ferry Crescent and the Schuylkill Banks Boardwalk. Construction recently also started to extend the path from the Boardwalk to Christian Street. Officials had figured scenic Kelly Drive (hello, Boathouse Row) would remain the busiest part of the Schuylkill Trail, but more people have been flocking to the Banks. On particular busy weekends, a counter set up by the Delaware Valley Regional Planning Commission has recorded around 50,000 trips between Locust and Walnut. Just as in the early plans of Randolph, the Schuylkill Banks trail is expected to one day meander the entire eight miles south of the Art Museum to where it empties into the Delaware River. The total cost from beginning to end is expected to be in the hundreds of millions of dollars. Securing the funding and making deals for the necessary land are key to upcoming projects. Danielle Gray, the SRDC’s director of marketing and development, pegs the best-case scenario for completion at 20 years. Syrnick pegs it at 12. When the SRDC hosts events, they hear from people who remember the early ’90s, when they couldn’t comprehend exercising by the river, or sneaking past the drug camps and prostitutes to enjoy the water. They hear people say the trail led them back to Philadelphia after years of living away.